Case Study: Ratrod Studio Inc.
Communications to provide dedicated cluster for online gaming advertisement platform. Ratrod Studio Inc. is an entertainment software company that specializes in developing and publishing mobile content and games. To dates, they have released several top titles on various platforms. Was looking to have a reliable, fully redundant infrastructure, having excellent performance while being able to add processing capabilities on the fly. With our inter-datacenter infrastructure, we have setup a HA cluster to suit our client needs. Ratrod Studio Inc. is expecting a massive growth in the nexts years and has put its trust in the hands of GloboTech Communications as their infrastructure partners. Ratrod Studio Inc. is a Canadian-based online gaming producer with a focus on the exploding online mobile gaming community. Along with game development and productions, Ratrod also developed their own ad mediation platform in order to maximize monetization of their games. With a user base of over 40 million players, in order to keep up with the massive growth in these online ads being served through their mobile games, Ratrod needed an online infrastructure to keep up with demand and provide growth and scalability for their ad network. While developing their Ad Network platform, Ratrod decided to use cloud services of a large and well known IT company. Ratrod opted for this platform due to fast and ever-expandable options of cloud instances. After their development was complete and Ratrod was ready to launch their ad delivery network for their online gaming community and decided to continue with the same cloud infrastructure used during development as it was marketed as an easy-to-scale resource for ever expanding growth. It was marketed as an easy-to-scale resource for ever expanding growth. With a tenfold increases of traffic in just a few short days, the cloud that they were so excited about was failing right from the start despite attempts to scale this cloud-based solution both vertically and horizontally and this at a very high cost. Since providers can oversell and over-run their Cloud Infrastructure, It is easy to pay for certain specification but not getting the performance expected in return. As more and more companies look to adopt cloud computing as an integral part of their online presence, certain limitations have been coming to light in what has been advertised as a limitless landscape. Ratrod was experiencing issues and the infrastructure was not providing the throughput and handling traffic that was initially expected since the CPU, Memory, Storage IOPS were not guaranteed. With no internal IT department, Ratrod decided it was time to work on a different approach when it came time to host their Ad Network. With their Ad Network in disarray, Ratrod contacted GloboTech Communications to discuss potential solutions to quickly fix their issues to get back to business. With experience in multi-data center, redundant infrastructure and IT Management, GloboTech Communications’ immediately got to work and were able to design a solution to ensure that this new revenue stream for Ratrod would perform as expected and even exceed them. GloboTech Communications’ plan also included on going IT Management and consultation services to Ratrod. Within a few days, a private cluster solution was in place and operational. Armed with the experience that comes with years of helping clients with a myriad of options, GloboTech Communications was able to provide a robust, redundant and flexible solution to ensure that Ratrod’s infrastructure matched their business needs. GloboTech Communications was able to provide a suitable solution because by examining the clients requirements and then tailoring the solution to their needs. In addition to the improved infrastructure, GloboTech was able to reduce monthly costs for the solution by some 55%. By thoroughly exploring the technical and business drivers for the project, GloboTech experts demonstrated that all technology requires proper and professional technical support in order to achieve maximum results. By employing a suitably sized cluster solution with guaranteed and predefined resources, Ratrod Studio Inc. is now capable of handling the demand, both current and projected, for their online gaming ad network. All at a far more reasonable monthly expenditure than they were experiencing from their previous IaaS provider. 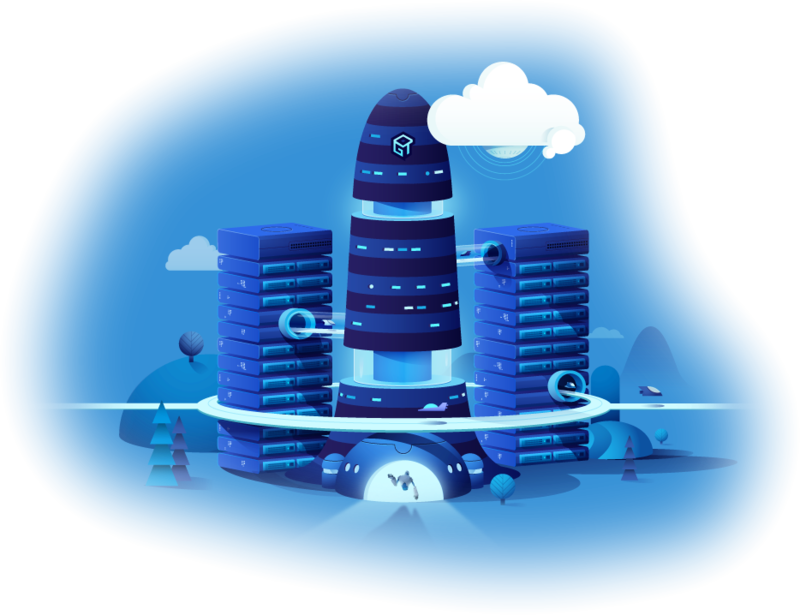 Their cluster is constantly monitored for performance and capacity and as the solution is highly-scalable, Ratrod can focus on developing and producing mobile online games, and leave the hosting infrastructure to GloboTech Communications. We were delighted to find that GloboTech Communications isn't just a service provider but a technology partner to help us manage our network and infrastructure. Pat Toulouse CEO, RatRod Studio Inc.